A seasoned multi-disciplinary designer with a passion for new ideas and innovation. With over 20 years of experience, he has worked with a number of leading global enterprises on marketing campaigns, loyalty programmes and brand creation projects. 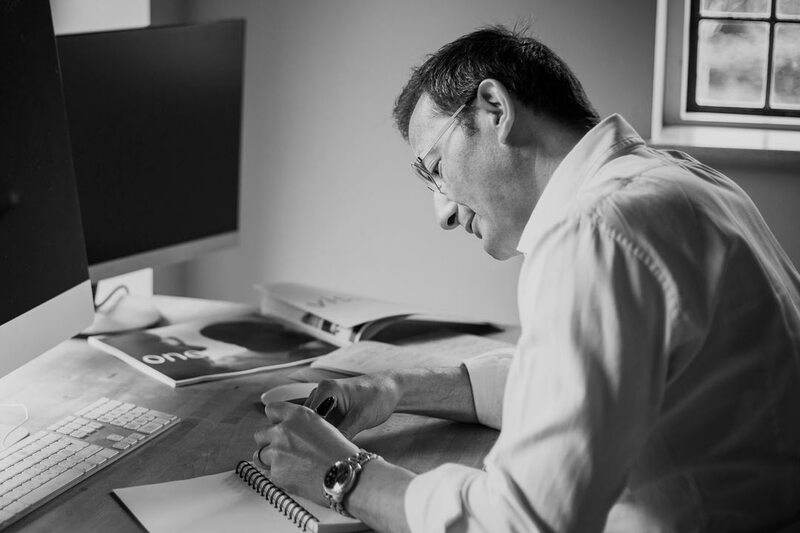 Usefully for entrepreneurs and SMEs he is a versatile designer able to lead the creative process, produce and deliver a range of assets ready for market. His work with enterprises has seen James seamlessly dovetail with global marketing, research and IT teams to create solutions which stay on-brand, but push boundaries in presentation and customer experience. Along with working independently, he has run a creative production studio for Motivforce. There he worked on award-winning loyalty programmes for IBM, Lenovo and Microsoft accounts. Other notable clients include Anthony at Hamilton Management Group, Adam Reece F1 Experiences, Caribbean Airlines, Marisco Liqueur, CPC Project Services, Manches, Taylor Keogh Communications, Leopard Capital and Quixoticity. James is a creative catalyst; a loyal and trusted partner who has a keen sense of curiosity, helping clients see fresh opportunities to innovate.